And now for some silliness. I know Tez (queen of cat with books) will enjoy this. I don't remember if I posted that I got a couple of young cats from the shelter about two weeks ago. This one is Pel. 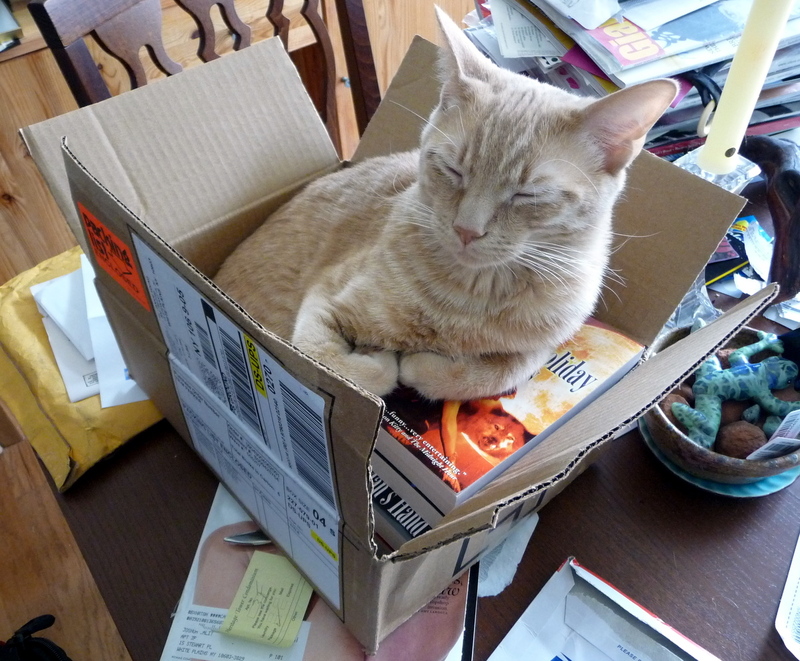 I got a box of Carrie Vaughn's Kitty series to review this week, and he's making himself very comfortable. Clearly the books are an armrest. Or maybe he's closing his eyes and trying to channel Kitty Takes a Holiday.